The Tempur-Pedic vs. Serta debate is a strong one amongst customers in the mattress industry. One is a leader in top-of-the-line mattresses and performs about as well as other memory foam products. The other is a major name in innerspring and hybrid mattresses. In this review, you’ll learn about which of these two may be right for you. A longer-than-average lifespan and conforming support are the undeniable benefits. Tempur-Pedic’s Contour, Cloud, Choice, and Flex models lead in these areas. They’re ideal for back sleepers. The support of memory foam helps in the higher satisfaction of mattress owners. Sometimes models can last as long as 15 years. On average, peak comfort is maintained for about 8.5 years. All models have a better advantage over competing brands. Tempur-Pedic offers a 10-year full replacement, limited warranty. Its Tempur-Flex collection has adaptable material and a spring-like feel. The alignment alone contributes to better comfort at night and reduced pain in the morning. All memory foam mattresses offer the support for potential pain relief. This brand is slightly higher than average, with 20% of those in a SLTD study reporting their back, shoulders, and hips feel better. Our look at these products uncovered various foam densities. Lower densities may be easier to move on while higher densities isolate motion better. Price goes up with density as well. Still, many people crave the cloud-like feel of a high density, 5+ lbs/ft mattress. High density mattresses tend to release more odor initially. We found off gassing to be present. This can vary depending on the model and individual mattress, but lower density units tend to off gas less. Memory foam has a lot to do with density. Heat trapping goes up with density, as does temperature sensitivity. Some people like the sinking or higher conformance of high-density mattresses in response to body temperatures. Others, not so much. A lower-density model may feel more like a traditional mattress. Low-density models, however, may be too firm. A higher proportion of regular foam is the reason. Medium-density models tend to not be too firm, and are not as temperature sensitive as higher density ones. The bottom line is to self-evaluate all the choices before you make a purchase. Heaviness and break in time go up with density as well. Tempur-Pedic can be as much as 50% more expensive, compared to mattresses with similar traits, benefits, and satisfaction. We also found moving around is more challenging than on similar competitor models. While you can find a mattress for around $1,200, some luxury models exceed $8,500. The four main models rank slightly differently based on user ratings. The Contour Collection ranks slightly higher than the others for back sleep, while side sleepers prefer Cloud models. Choice and Flex models rated better for stomach sleep and were in the average range, per SLTD study results. Also of note is Temper-Pedic is often secretive about full mattress specifications. The models tend to provide a good level of comfort. Choosing one over the other can be challenging but the right mattress will last you a while. With Serta, you have a choice of comfort levels and firmness. Its products come in a wider range of price points. The selection of innerspring mattresses have features such as pocket coils, so you get better motion isolation than with most spring-based mattresses. 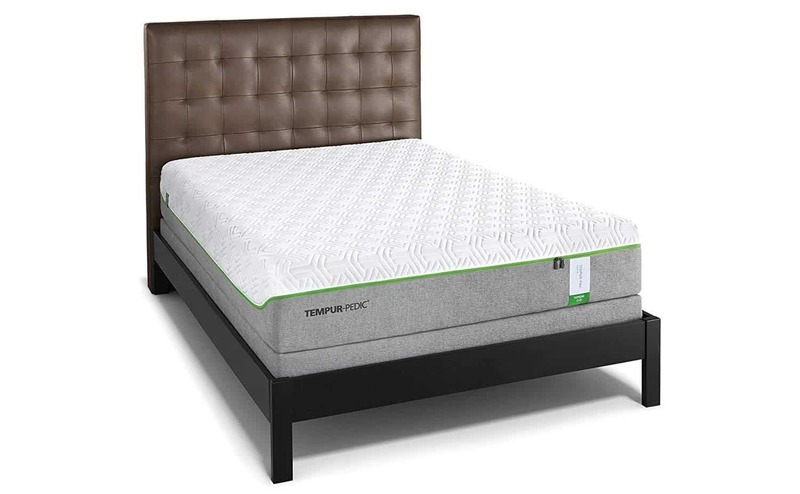 Of course, then there is the iComfort memory foam and iSeries hybrid models. 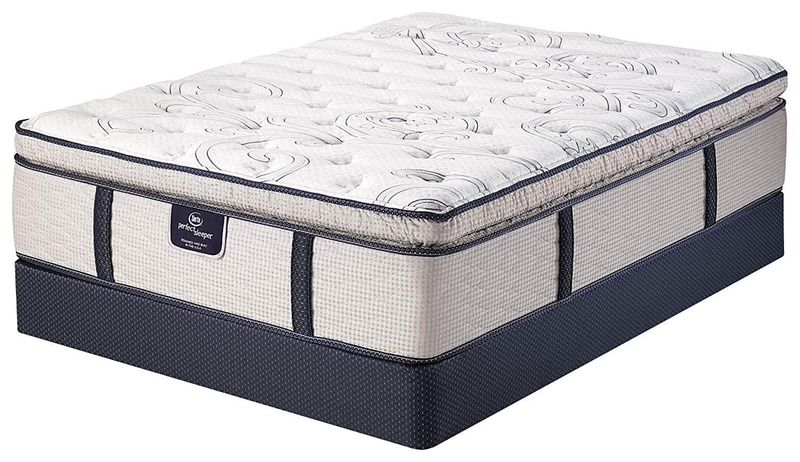 The Serta Perfect Sleeper is a low-priced mattress. It feels quite typical of an innerspring model, although sagging has been reported after the first year. Those questioned by SLTD who used it only occasionally or temporarily reported a higher rate of satisfaction. Lifespan, according to studies, is about 5.5 years. Prices range from $350 to $1,560. Serta’s iSeries has a similar lifespan, about six years, and has a memory foam layer. It can last longer if used less frequently. This is a rather new model, however, so there’s little information on longevity. There is a potential for sagging with this model as well. Expect to pay anywhere from $1,060 to $3,200. Perfect Sleeper is good for hip, back, and shoulder pain relief, but a few users said it caused them pain. The product is mostly beneficial, but pain relief benefits do reduce over time. The Serta iSeries felt more supportive. Despite having some memory foam, these models tent to sag or become too firm over time. If you’re looking for a conforming mattress, always go with memory foam. Look for at least two inches if you find this attribute important. The iSeries is above average in this respect. Perfect Sleeper models with pocket coils are good at motion isolation, while the dual pocket coils and memory foam of the iSeries performs quite well. Initial odor was an issue only a small fraction of the time for both series. Heat retention is minimal as well. The iSeries has gel-infused memory foam, which prevents significant heat buildup. As far as noise, you may hear some creaking and squeaking from Perfect Sleeper models, although pocket coils tend to be quieter they can creak if they become defective. Serta mattresses can be heavy, especially if they have thicker layers. Memory foam contributes to the weight as well. We found lifting a 100+ pound mattress a tough proposition for one person. With Serta, though, you get a pretty good rundown of specifications, including thickness and materials. Overall, these models are more affordable options for comfort. They come with three layers of foam and a 10 year non prorated warranty. There are plenty of options available for support and motion isolation, a particularly important feature for couples shopping for mattresses. Tempur-Pedic is great for those looking for long-lasting memory-foam mattresses of varying densities, if you can afford them. Serta, on the other hand, provides innerspring and hybrid models that rate quite well and may be the right choice if you are on a budget. Yet, they offer motion isolation, pain relief, and comfort that will last you a few years.